We humans are very good at social rules. We have complex systems through which we encourage others to behave in a certain way, including laws, taboos, customs and many unspoken social norms. Social rules are essentially expected patterns of behaviour in a particular situation or social context, which vary across cultural groups. Often, there is some sort of social consequence for individuals who don’t behave in the expected manner. Think of the rules involved in play between two animals; the social rules of play are different to the social rules in other contexts (e.g. feeding). During play, subordinate individuals are free to jump on, chase, or bite dominant individuals without consequence – as long as they don’t bite too hard! The existence of such context-dependent behaviour in animals requires at least two things: a) a signal denoting that any following behaviour is considered ‘play’ and is associated with different expectations, and b) a socially enforced consequence when the appropriate behaviour is not displayed in that context. So when a pretend play-bite goes too far, the play partner might retaliate with aggression, or stop playing (NB: this rule does not apply to human-cat interactions, in which case they’ll constantly cheat and you’ll inevitably fall for their innocent belly-revealing ruse over and over, because damnit, they’re just too cute!). Most reference to social rules and social norms centres on human societies, with significant overlap in definitions of social rules, social norms, and cultural norms. There is surprisingly little literature on this topic with respect to other animals, at least in a general sense. Here, I will consider social rules as abstract concepts that dictate what an individual should do in a certain social situation or interaction. I contrast this with social or cultural norms, which are an emergent property of groups of individuals (i.e. an observed common pattern of behaviour) that can arise from the existence of social rules. I make this distinction because social/cultural norms can also arise via other mechanisms (for example, if all individuals followed the same cultural model, they may end up behaving in the same way, without an associated enforcing rule). The evolution of social rules is intimately linked with the evolution of group living, cooperation, and common goods. This seems a pretty obvious connection; in order to have rules on how to interact with others, you need to first be likely to interact with others. However, many usually solitary species also show some form of social rules – individuals do have to interact with others occasionally, particularly for the all-important task of reproduction. Likewise, individuals all want the same food sources and will compete with other individuals to gain access to them, so even solitary foragers need to know where they can go to eat in peace. Think of the way that many animals mark territories with scents or sounds – these signals allow both the territory owner and any intruders to avoid social interaction and any potentially aggressive confrontations. Even in solitary species then, there are usually rules for how to interact that involve signalling of a situational context, which, if not followed, result in social consequences. These consequences might simply be that the interaction ceases, that a chance at reproduction is denied, or that aggression will occur. While in humans, rules are often socially learned and socially enforced, rules of interaction in other species may be elicited and enforced in other ways, without the use of language. This includes not only visual signals and gestures, but the aforementioned olfactory (smell) and auditory (sound) signals too. For example, in the eusocial hymenoptera (e.g. 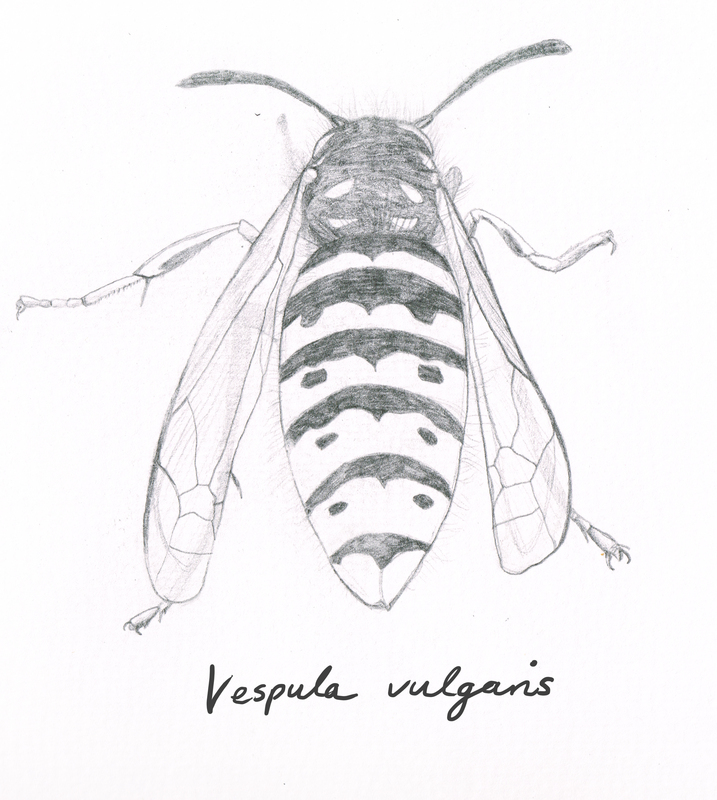 Vespula vulgaris, the common wasp), colonies consist of a queen, who builds the nest and then produces eggs, and the workers, who cooperatively forage, tend to eggs and fix and protect the nest. In these species, worker females are often able to reproduce independently, by laying unfertilised male eggs. However, when the queen has mated with multiple males, workers are more closely related to the queen’s offspring than they are to their fellow workers’ offspring. This gives workers an incentive to stop other workers reproducing. Workers have been shown to police each other’s reproduction by eating worker-laid eggs when they come across them. Generally this is achieved via olfactory signals on the eggs, but in some species egg-laying worker females also receive aggression from other workers, suggesting some social enforcement of this reproductive rule. The problem with this very broad and abstract definition of social rules, is that other things can dictate what an individual animal does, aside from other individuals of their species. Cognitive psychologists and biologists have investigated these processes in a great deal of detail. These processes involve simple ‘rules of thumb’ or heuristics and iterative learning, such as: eat things that taste delicious, and don’t eat things that taste repulsive. This kind of behaviour does not require that anyone tells you what to eat and what not to eat, it is simply a behavioural response to a physiological stimulus, which may be learned based on previous experience with things that tasted that way in the past and had nasty consequences. What about if an individual learns when to eat in a social context, for example, a subordinate wolf tries to eat from a cooperatively hunted kill but a dominant individual is aggressive towards them. After a few attempts the subordinate learns that they can eat in peace if they wait until after the dominant wolf has eaten. Is this an example of a social rule, then? It certainly seems to fit our abstract definition of a social rule, but how is it any different to learning how to respond to inanimate objects in response to an unpleasant stimulus (e.g. pulling your hand away when you touch a hot stove)? Frans de Waal touched on this issue in his book, Good Natured, noting that the problem with ascribing these situations as socially enforced rules is that we are assuming intentionality on the part of the dominant individual. “We do not know if the rules that we recognise in animal behavior, and that we see being enforced, exist as rules in the animals’ heads” [1, p. 96]. It is difficult to solve this puzzle because it is hard to measure this level of intention in other animals. Social rules could therefore be said to exist in other animals, but individuals may not be consciously aware of their existence in the same way that humans are, particularly in the sense that we communicate the rules and our intentions to each other through language. To investigate the presence of intentionality in animal social rules requires more sophisticated research beyond simple observation, since only behaviour itself is visible to us and not the intentions behind it. Evidence for this concept has been building from the philosophical and psychological field of ‘Theory of Mind’ – the ability for individuals to attribute mental states to themselves and others. Scientists have attempted to determine whether various species possess even a rudimentary version of this ability, including nonhuman primates, birds and dogs. For example, scrub jays are known to store surplus food in caches within their territories. Some scientists argue that scrub jays show evidence of theory of mind because they will re-cache food in another location if they were observed by another jay the first time they buried it. It is argued that the jays infer that the other individual now knows where their food is and therefore that they will steal it. However, it is possible that this behaviour too can be explained by simpler behavioural rules based on past experience . Other suggested evidence for intentional behaviour and theory of mind in other animals is similarly hotly debated. So far, I am not quite convinced by the available evidence, so our question about social rules in other animals remains unresolved, except that we can say on the surface many organisms do appear to follow social rules. I am certain that with time, cognitive science will move closer towards an answer on whether animals are cognitively aware of such rules or not. van der Vaart, E., Verbrugge, R. and Hemelrijk, C.K., 2012. Corvid re-caching without ‘theory of mind’: A model. PLoS One, 7(3), p.e32904. Author belinda@warbel.netPosted on May 27, 2017 February 10, 2019 Categories Blog postsLeave a comment on Do other animals have social rules?